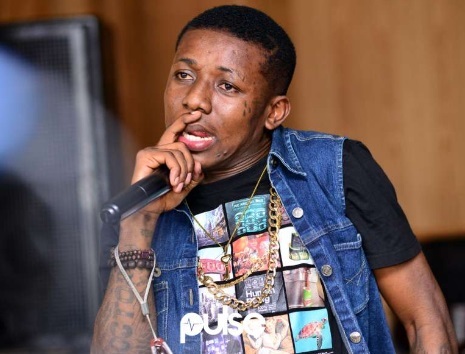 Bad news for Nigerian music industry and fans as well as Nigerian singer and Police ambassador, Small Doctor might be spending over a decade behind bars if he is found guilty of illegally possessing fire arms and also threatening a police officer. Singer Small Doctor is in serious trouble and that’s if he is found guilty of illegally possessing firearm. Yesterday we reported to you that the singer was arrested and paraded in lagos for threatening a policeman with a gun. 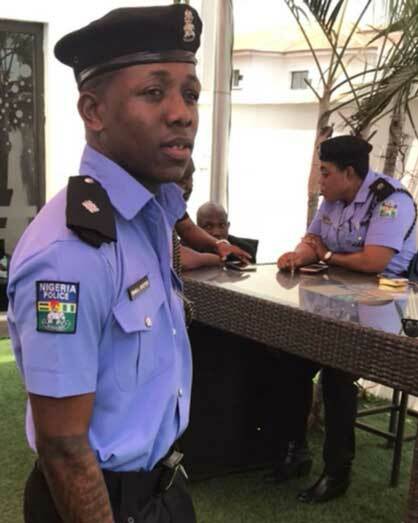 Recall that the youngser is a Nigerian police force ambassador and he has just gotten himself into a big trouble with the lawSmall doctor is not the first celebrity to join the police force. Korede Bello had also joined the force as an ambassador. It is also reported by Nigeriafilms.com that Odunlade Adekola was also a member of the newly recruited celebrity for the force. This is to help the police force spread its message to the public and also help reduce crime rate in the country. The men of the Lagos State Police Command yesterday arrested the singer and three other accomplices for allegedly threatening to shoot a police officer. Police also claim the singer will be prosecuted for a similar incident late November, when he fired pellets that injured four after a show at the Agege Stadium. According to Section 3 of Nigeria’s Firearm Act, which prohibits the possession or control of firearms, any person(s) found guilty shall be liable to a minimum sentence of ten years.Section 4 of the same act, which restricts the possession or control of personal firearms, as well as Section 9 which restricts the possession or control of ammunition in respect of certain firearms, also state that anyone found guilty of violation is liable to serve jail term not exceeding five years. Small Doctor who has had relative success in the music industry since he burst onto the scene few years ago will need to defend the allegations in court. Police didn’t say when the Agege-bred singer and his gang would make their first court appearance. Small Doctor and his friends have remained in police custody. The young singer remains a police ambassador alongside other top music artistes in Lagos State.